Some software does not offer a facility to export to a file format that is compatible with the Carlson cutter. In this case, installing an HPGL print driver may allow you to “print” your CAD files to an HPGL file, which can then be imported into the Plotmaster software. If you are running Windows ME or earlier, use the Windows HPGL Driver instructions. If you are using Windows NT, 2000, or XP, use the Mutoh HPGL Driver instructions. The Windows HPGL driver will allow you to create an HPGL file to import into Plotmaster by using the “Print” feature of your design software. Go to Start menu –> control panel –> “printers and other hardware” –> add a printer. From the list of printers, navigate to “Hewlett Packard” as manufacturer, and then select an HP7475 or 7586 as the printer model. Select the largest page size you can get. Make a note of the pen colors and numbers assigned for each color. When printing to this printer, it will prompt you for a filename. When naming, you must enter the full path – example: c:\nest\testfile.plt – your plt will be stored at this location, ready for you to run the HPGL import. Download xp-nt.exe. Save to desktop and unzip. Start menu –> control panel –> “printers and other hardware” –> add a printer. Select “local printer attached to this computer” and uncheck “Automatically detect and install my plug and play printer”. Under “Use the following port” drop-down, select “FILE”. Click next. Click “have disk” and browse for the folder that you unzipped step A. Open file “mtpennte.inf”. and click ok –> click next –> click next –> select “no” –> click next –> click finish. When prompted to “continue anyway” or “STOP installation”, select continue and click finish. Be sure to create vector drawings. Export as *.DXF from Illustrator. The default settings should work. Import as DXF in PlotMaster. You will need to hit “mm” next to scale input field for proper scaling. Import with “AutoCAD 2011 Import Beta” import button. Importing to PMXPV or earlier: If available, use the ‘Save As’ function to create HPGL files. The file extension will be *.prn. Import the file into PlotMaster using HPGL importer. Otherwise: “Export” as *.DXF. The default settings should work. Import as DXF in PlotMaster. You will need to hit “mm” next to scale input field for proper scaling. 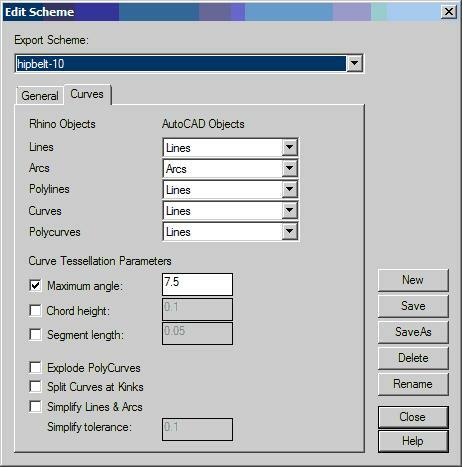 Import with “AutoCAD 2002” import button. To install an HPGL output from Autocad 2000-2011: Once setup, you can “plot” from Autocad directly to an HPGL plot file for import to Plotmaster. Instructions may vary slightly between Autocad versions. 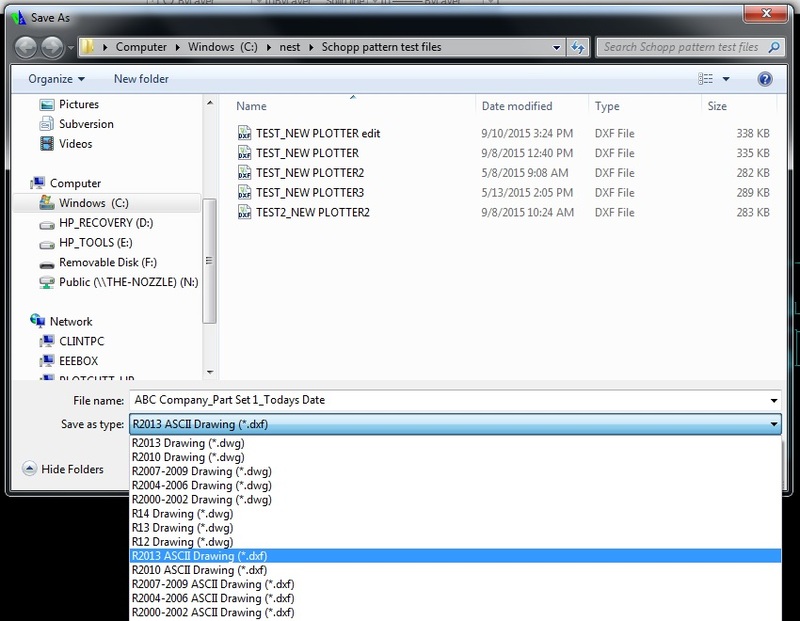 In Autocad; File  Plotter Manager –> Add A Plotter Wizard –> Click Next –> Click Next. Select “Hewlett Packard” under Manufacturers, and then “Generic LHPGL” under models. Click Next –> Click Next –>Select “Plot to File” –> click Next. You can rename the Printer if you like –>click next. Select “Edit Plotter Configuration” –> “Filter Paper Sizes” –> “Uncheck All”. Select “Custom Paper Sizes” –> “Add…” –> “Start from Scratch” –> click Next. Set the paper width and height to be either 1200×1200 inches or 30480×30480 mm –> click Next. Set margins to 0 all around –> click Next. Give the paper size a name if you like –> click Next –> Click Finish. In the “Plotter Configuration Editor” expand the “Physical Pen Configuration” –> select “Pen Configuration” sub-item. Select “Finish” in the “Add Plotter” window. To Export from Autocad and import into Plotmaster. Instructions may vary between Autocad versions. Uncheck “Fit to paper” and set scale to 1:1. Set plot area to “extents”. Click “OK”. Follow HPGL import instructions in manual. 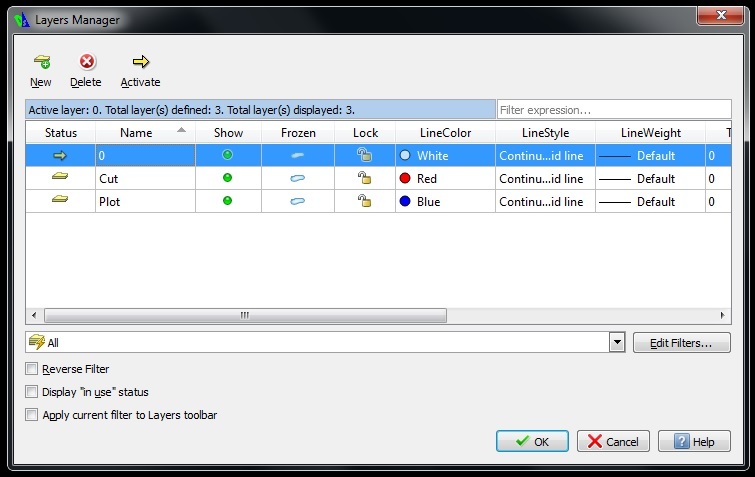 To prepare your DXF file to import, set the line color for your cut lines to red, and your plot lines to blue. You should delete any lines that you do not want to either plot or cut. Some cad programs automatically add lights and cameras to your drawing; make sure to delete those before importing. Use the DXF import button, select your file, and hit the “ACAD 2010 Import” button. Earlier Plotmaster versions: Before exporting a *.DXF from your application, you must “explode” or “segment” all your splines and curves into line segments. 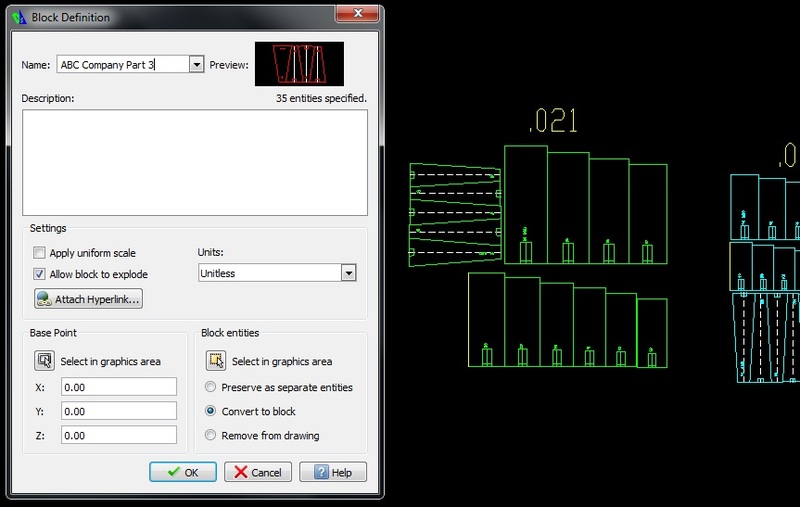 “Cut” and “Draw” lines are interpreted using the settings in the PlotMaster import console. You might need to experiment if you do not know which screen colors are assigned to which logical pen numbers within your CAD application. The easiest way to denote cut and plot lines is to create a layer for each named “CUT” and “PLOT” respectively. This will automatically make the import console aware of each line type, and remove the need to manually specify pen functions. Divide your file into two layers: Cut, with “LineColor” red selected, and name the other Plot, with “LineColor” Blue selected. If you desire to bring in different sections of your pattern as separate *.UC files, make groups using the make blocks tool in DraftSight. Highlight each section of your pattern and click the “Make Block” icon (a white square with the letter A and a green plus symbol pictured below). This will bring up a dialog box where you can specify a block name and click OK to complete. Repeat steps for each group. Now you are ready to save your file as a .DXF. Select “Save As” from the “File” drop-down menu, pictured below. A dialog box will appear. Type in your preferred file name and then select “R2013 ASCII Drawing (*.dxf)” from the “Save as type” drop-down menu. With your file open, select all entities to be exported. 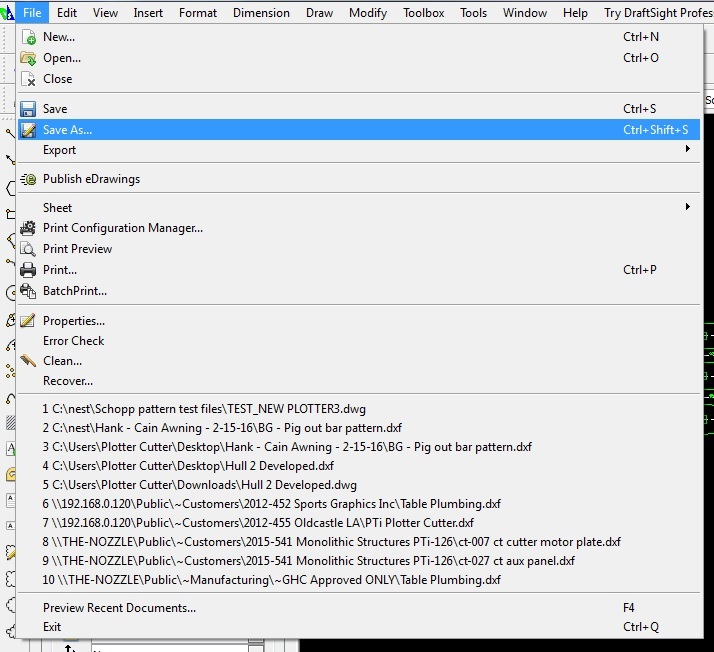 Select “Autocad drawing exchange file – (*.dxf)” from the “Save as type” drop down. Pick a file name for the export, and hit save. There will be a dialog that comes up titled “Export AutoCAD File” as shown below. click the edit schemes button. You will be presented with the “Edit Scheme” window. Edit the settings in the second tab to match the settings in the illustration. Nothing needs to be changed on the “General” tab. You should save this export profile for later use. Do so using the “Save As” button. When finished, hit close. You should be returned to the Export AutoCAD File dialog. Click “OK”. Follow the DXF import instructions for Plotmaster in your manual. Take note of the directory and filename that you saved it under, follow the HPGL import instructions for Plotmaster in your manual. If using pmxp or pmxpv use .hpgl output, if using PMU .dxf output will probably give better results. Different image types will require different tracing algorithms, so you may need to adjust settings here and choose a different tracing method (edge detection, or brightness threshold). For a black and white block image Brightness cutoff with a Threshold of .840 usually gives good results. Click Update, then OK and then close the Tracing window. You now have a Vectorized version of your image ( when it is selected it should say PATH in the bottom status bar of the screen). Drag that to the side to reveal the original image below. Select the image and delete it (when the image is selected it should say IMAGE in the bottom status bar). 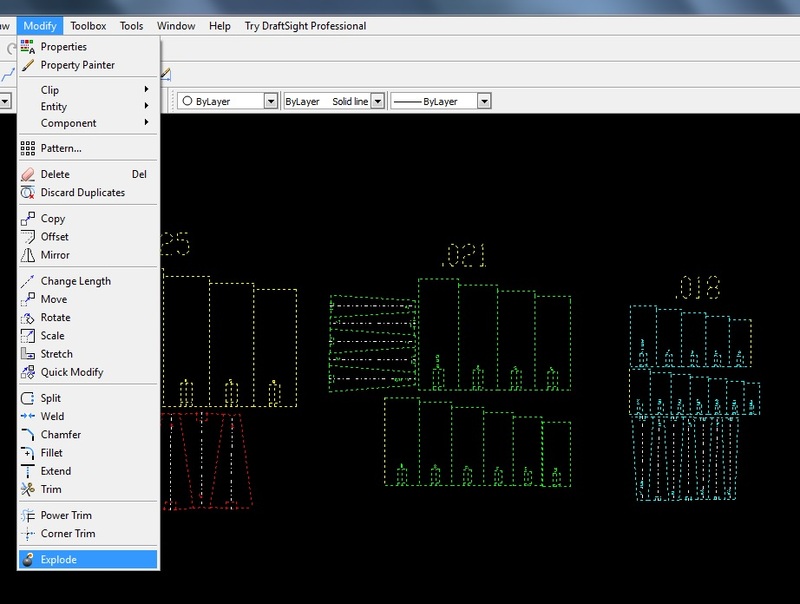 You will probably need to optimize and reduce point count with PEdit on imported patterns.